Grow Your Business Through Custom Brochure Design From Webati! Home » Grow Your Business Through Custom Brochure Design From Webati! Let’s get one thing straight right now. The brochure, as a form of advertising, is not dead! In fact, in today’s world, with the rush of modern technology, the power of the brochure, both online and offline, is often ignored. Professional custom brochure design from Webati can assist your business in harnessing the often overlooked power of brochures to help your business grow in ways that you have never imagined! Brochures are often used in print campaigns, but many of our clients are experiencing an unprecedented amount of success by using online forms of the classic brochure. Whether used online or offline, custom brochure design from Webati can be used to inform potential clients as to what your business is all about and get them interested. Ultimately, the right brochure can convert them from prospects into actual clients. It can literally make all of the difference in the world. We provide cost effective and high quality designs. You will receive our hard won expertise on how capture a potential client’s attention, as well as how to sell to them. Our custom brochure design is guaranteed to dazzle potential clients. Each of beautiful, professional designs will be custom tailored to your needs as a business owner. You can save money by choosing one our themes, or we will be more than happy to create a custom design from scratch for you. You will receive the final art work and appropriate files in any type of format that you desire. We will assume the costs of using stock imagery. In fact, it’s included in our price quote. 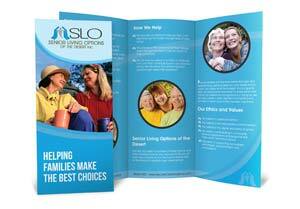 We will create your custom brochure design within a reasonable time frame, but if you need a rush job done, we can do this as well. Receiving high quality custom brochure design has never been so simple. We urge you to contact us via phone or email to set up your free, initial consultation today. We will provide you with our expert opinion, but be aware that you are under no obligation to hire our services. However, once you see our astonishing online portfolio, we’re pretty confident that you will want to see what the custom brochure design from Webati can do for you. Let’s get started today!